The concept of precision agriculture has been around since the early 1990s, but it has really only begun to gain widespread acceptance among North American growers over the past decade. Vern Anderson, a precision field specialist with CNH Industrial, says there are three key reasons why adoption rates have soared during that time. First, growers are increasingly looking for good value in their investments as the cost of doing business continues to rise. Second, companies are doing a much better job of explaining the technology and its benefits to producers. And third, information is now much more readily available to growers thanks to the Internet and the proliferation of mobile devices such as tablets and smart phones. So what precisely is precision agriculture? Ask 10 different ag people and you are likely to get 10 different responses. Essentially, it’s an all-encompassing term that includes everything from the prescription you use in your field to the type of equipment you use to plant seed or apply fertilizer. At its root, precision agriculture “enables producers to provide a quality product in a timely manner in a profitable way,” according to Anderson. Anderson, whose company specializes in providing technological solutions to the ag sector, says one of the biggest benefits to using precision agriculture technology is that it can significantly lower input costs. To illustrate his point, he cites an example of a producer who uses a 40-foot air seeder which overlaps two feet of soil with every pass. While that might not seem like a lot, it can add five per cent to the cost of seeding which translates to an extra $200 an acre for a crop like canola. While some growers have not fully embraced the technology, Anderson says there are very few who don’t use it in one form or another, whether it’s in the auto guidance system of their tractor or a data collection device. So, if you’re looking for how to get started with precision agriculture, we’ve created a selection of tips to help you. Obtaining the services of a qualified agronomist is an important part of the process, says Anderson. An agronomist can help you conduct soil samples and gather the data you need to make informed decisions on everything from variable seeding rates to soil nutrition. “There’s no point in going to all that work and have someone build you a prescription if you have nothing to base it on,” he says. And remember that you get what you pay for. Beware of companies that cut services in order to provide a cheaper price. Services like Decisive Farming’s Optimize RX covers the spectrum including yearly soil sampling, agronomic recommendations, equipment test files, and variable rate prescriptions for seed and fertilizer. Optimize RX uses patented processes providing consistent results for 10 years and on 51K acres of field trials. Learn from others who have started the precision ag journey to understand the scope and keys to success. Ask around for someone who can connect you with growers. More often than not, those growers are happy to have a chat and share what they learned. How do you think they learned how to succeed in precision ag? Call Decisive Farming if you want to connect with a grower. 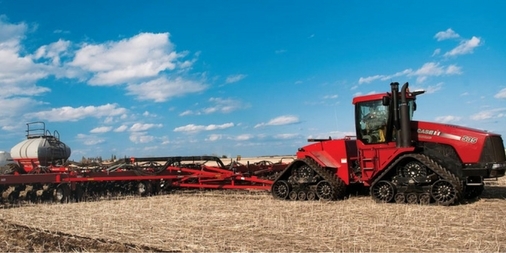 One of the biggest issues facing precision farming is data transfer. As more and more information becomes available, questions have arisen about where that information is going, who owns it and what is it being used for. Anderson advises growers to know exactly who controls the data gathered on their lands before entering into any kind of agreement. Decisive Farming built a platform for better data management. My Farm Manager™ software ensures the grower’s farm data is safe and secure. The grower decides which service provides can access their data, and new data created by those services provides stay with the grower in their My Farm Manager™ account.